Number 1 Movers is a one-stop solution to all your moving needs. 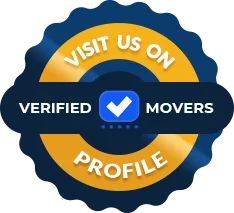 We are committed to providing you with a premium quality moving experience, and we will go above and beyond to ensure that your relocation is conducted safely and in accordance with your needs. Not only do Number 1 Movers ensure that you save time during the move - we also create a tailored moving plan at affordable rates that suit your wallet and offer you a peace of mind. Whether you need full moving services or just want us to help you with a specific relocation task, we will make sure that you always get a quote that fits your budget and needs. Our moving experts are highly trained professionals equipped with the tools and experience to make any relocation trouble-free. Our mission is to provide our customers with high quality and professional moving services. Therefore, you can count on your personal moving specialist to guide and advise you through each step of your move. Number one services from Number 1 Movers. In order to ensure our customers’ satisfaction, we created various types of moving services that can be added to our moving plans and quotes. Whether you are moving locally or long-distance and need us to conduct the whole moving process or just provide you with storage or packing support - we will rise to the challenge with ease! Create your own moving plan by choosing the services that fit you perfectly! Avoid any stress associated with relocation by using our local moving services. We will make sure your household or office belongings get relocated securely and safely. Our skilled staff, specialized moving equipment, and professional packing services to save you time and let your move go through like a breeze. Moving long distance has never been easier! Our moving specialists will ensure your cross-country or international move follows all regulations and meets your personal deadlines. While you focus on planning your new life we will gladly do all the heavy lifting for you! We offer several moving kits and supplies for your use so you don’t have to worry about the small details for the big move. Choose the kits according to the size and type of your move and you will be all set for a DIY relocation. Number 1 Movers storage units will ensure your belongings stay safely stored for as long as you need them to. Whether you need us to provide you with a common storage unit or a specialized one, we will make sure your possessions are well-secured and stay in a mint condition. Do you want to pack on your own? Our professional packing supplies for moving, including boxes, packing tape, and specialized plastic wraps will keep your valuables safe during your relocation, be it residential or commercial in nature. If you choose to rent your own moving truck, we will be more than glad to load and unload it for you. Our experienced moving experts have the skills and tools to move large items with ease. Avoid any damages and injuries by using our loading and unloading moving services! We just did a move on the coldest day of the year from Burlington to Waterdown it took approximately eight hours to complete the move and that you guys were absolutely fantastic Adrian the owner took care of us completely I can highly recommend his services to anyone looking to move great job guys we really appreciate it.